Classic styles are getting modern makeovers in the San Diego History Center exhibition "Fashion Redux: 90 Years of Fashion." 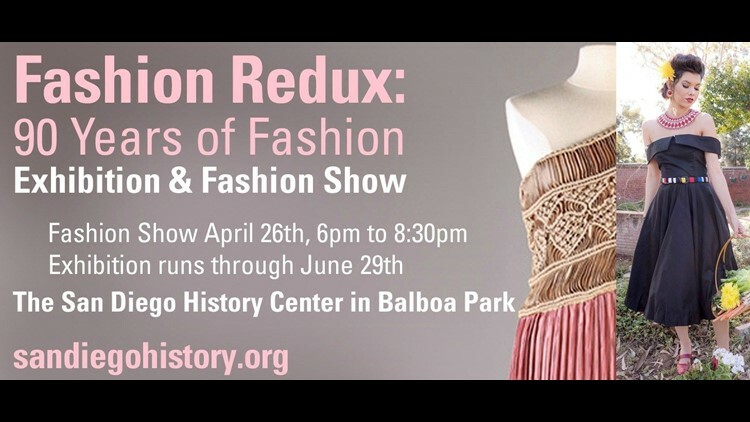 SAN DIEGO (NEWS 8) — Classic styles are getting modern makeovers in the San Diego History Center exhibition "Fashion Redux: 90 Years of Fashion." Matt Schiff from the history center along with Susan Lazear and some talented students from Mesa College's fashion program stopped by with a preview of the exhibit and an upcoming fashion show.